Our Cedar Creek Hathaway Edition fifth wheels are designed to improve the quality of your outdoor experiences giving you the peace of mind knowing your new home on wheels can withstand extreme temperature changes, and any type of road conditions with ease. You will enjoy the golden glazed European Beech wood cabinetry, sculpted solid hardwood fascia in the living room slides, and a larger fireplace than most with a solid wood surround. You will also enjoy La-Z-Boy sofas and recliners, and self close full extension drawer glides, plus LED lighting on the inside. Outside the "True" pearl Gelcoat exterior will keep your unit looking great for years to come. It is stronger, thicker, and keep its high gloss shine much longer than the competitor brands. 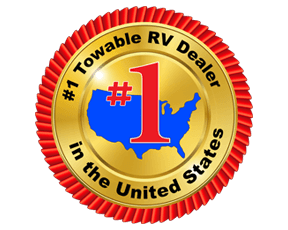 If this sounds like the kind of RV that you have been looking for, you absolutely should check out our complete inventory of new Cedar Creek Hathaway Edition floorplans here at Fun Town RV. Or, look at the listing below for more details. Be certain to contact us today for any questions that you might have.